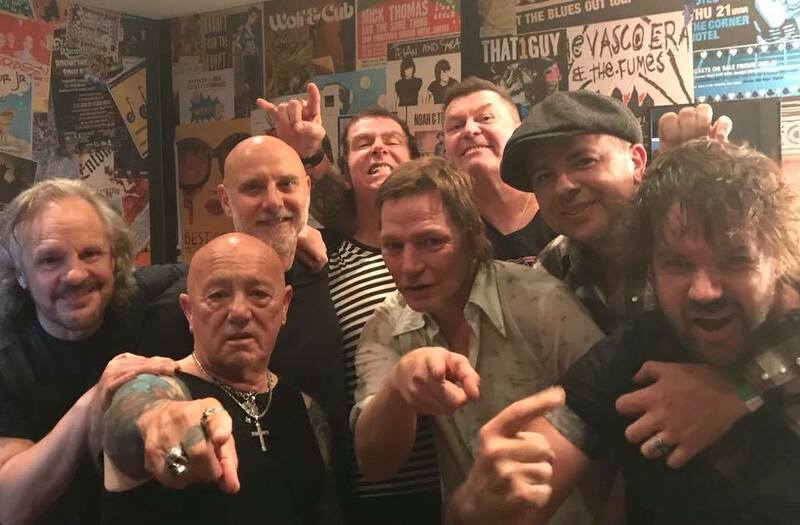 Dallas Crane join Australian Rock champions Rose Tattoo on their home ground, The Corner Hotel in Melbourne on Thursday September 27 (Grand Final Holiday Eve) for a night of rock’n roll glory. ‘Rock N’ Roll Outlaw’, was recorded at the famed rock ‘n’ roll Alberts studios, produced by the legendary team, Vanda & Young and, released through Albert, Repertoire Records in late 1978. The band’s debut album, reviewed as “A dangerous, unpredictable, monster of a record whose power has hardly diminished an ounce in the decades since”. Spawning anthemic songs like ‘Nice Boys’ (Don’t Play Rock ‘n’ Roll), ‘Rock N’ Roll Outlaw’, ‘One Of The Boys’ and, ‘Bad Boy For Love’, this album cemented the band’s foundation for the years to come. Now, 40 years on, Rose Tattoo is proud to announce their Rock N Roll Outlaw 40th Anniversary tour heading out around Australia in October and November. An explosive set will cover the album in its’ entirety and ignite their audiences inner rock child.